Every year, students clamber aboard the Hogwarts Express at platform nine and three-quarters and make their way to Hogwarts for the start of another school year. In the atmospheric castle and its vast grounds, they learn how to brew potions and cast spells, how to tend magical creatures and defend themselves from dark magic. This magical scrapbook takes young readers behind the scenes at Hogwarts School of Witchcraft and Wizardry, covering everything from how students arrive at the school and are sorted into houses to the many magical subjects they study while there. From Transfiguration to Divination, and from Herbology to Charms and Quidditch, we are transported into the world of Harry and his friends with detailed profiles of each subject and information about the professors, classrooms and key lessons seen in the films. 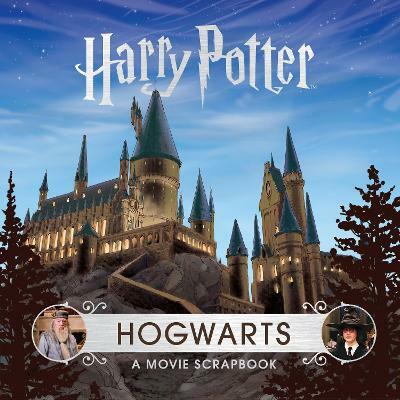 Gorgeously illustrated with dazzling concept art, behind-the-scenes photographs, and fascinating reflections from the actors and filmmakers, the scrapbook gives readers a spellbinding tour of Hogwarts life. Destined to be a must-have collectable for fans of Harry Potter, Hogwarts: A Movie Scrapbook also comes packed with interactive inserts. Jody Revenson has written extensively about the Harry Potter films, with her most recent books being J.K. Rowling's Wizarding World: Movie Magic: Volume One and Harry Potter: The Artifact Vault. In her first foray into the Wizarding World, she contributed to the New York Times bestsellers Harry Potter: Film Wizardry and Harry Potter: Page to Screen.